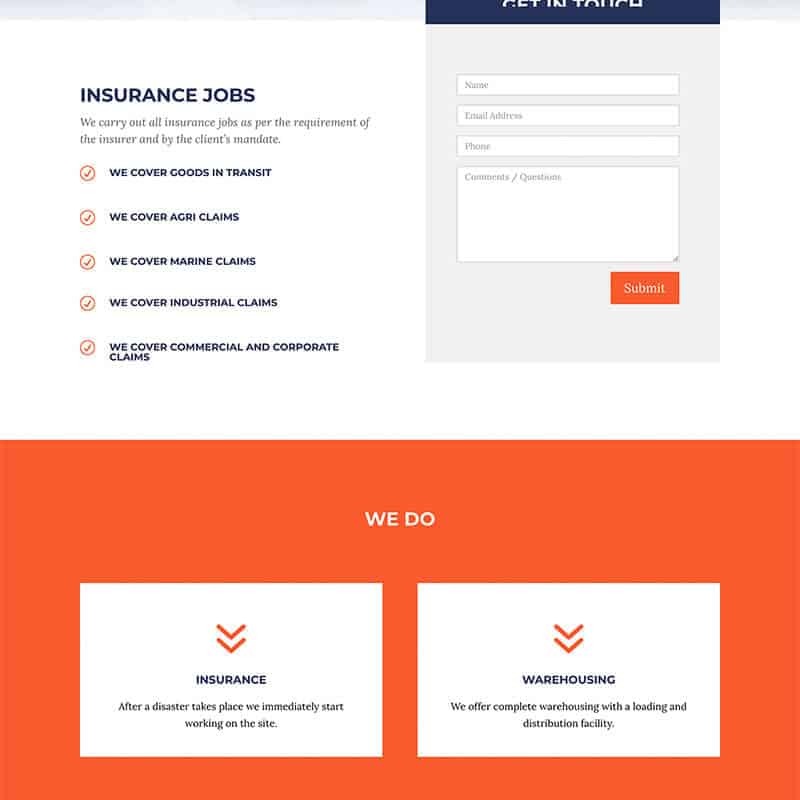 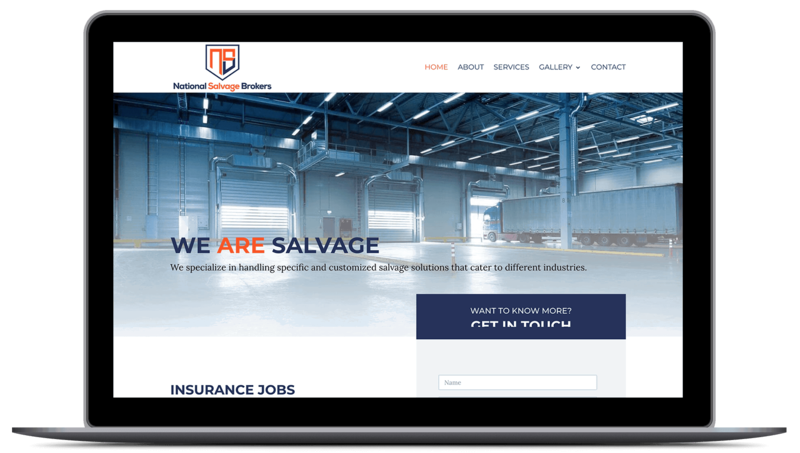 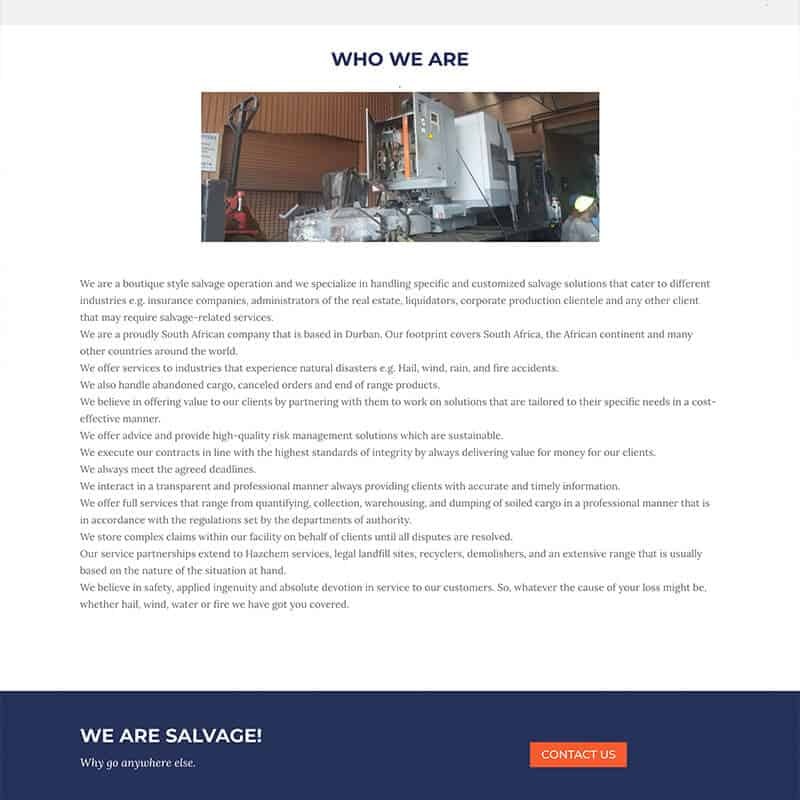 We built a fresh , modern new site to for National Salvage Brokers . 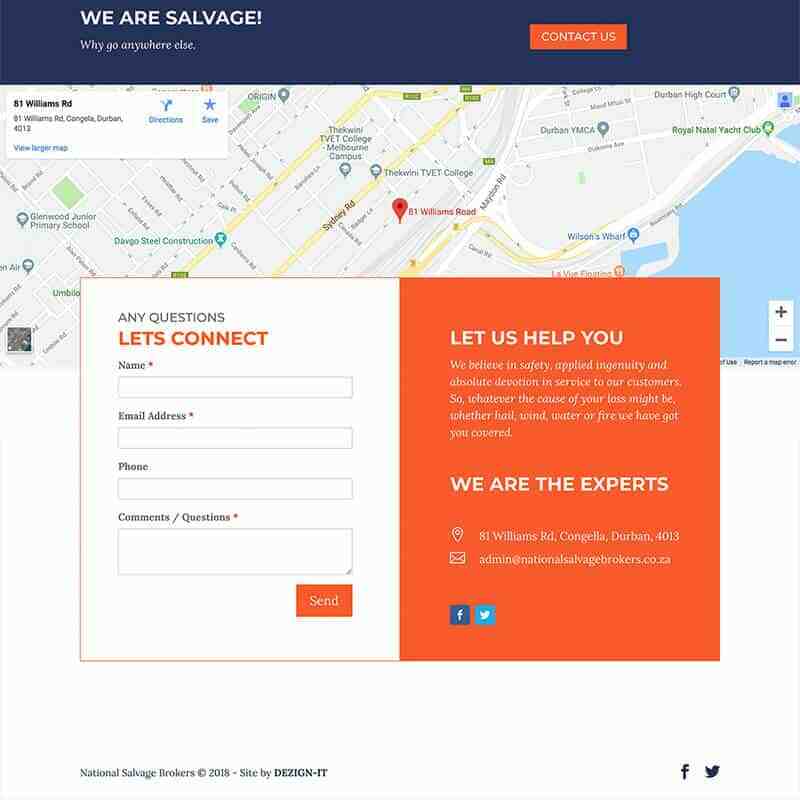 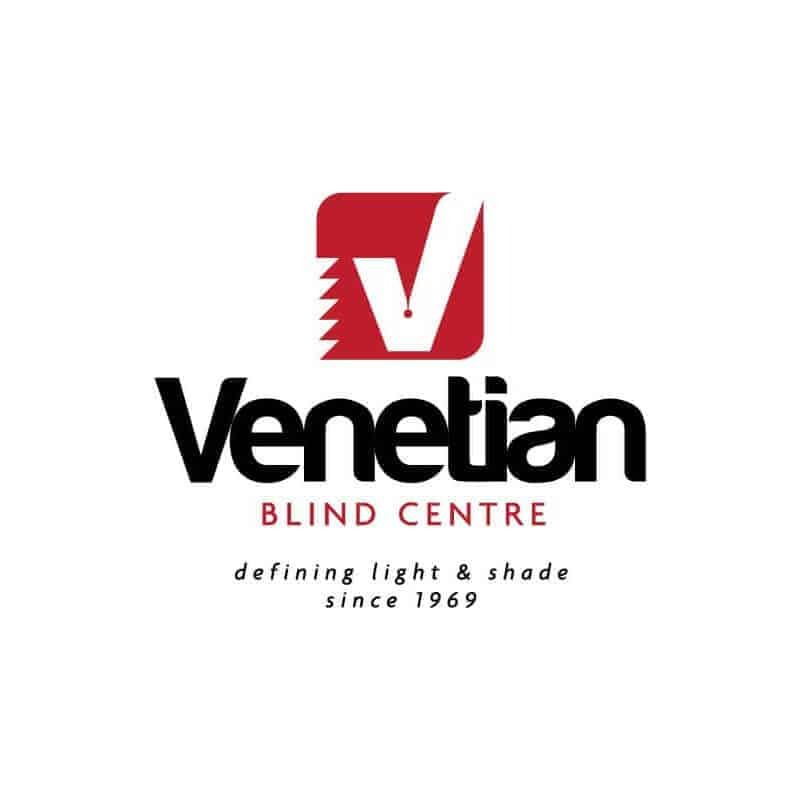 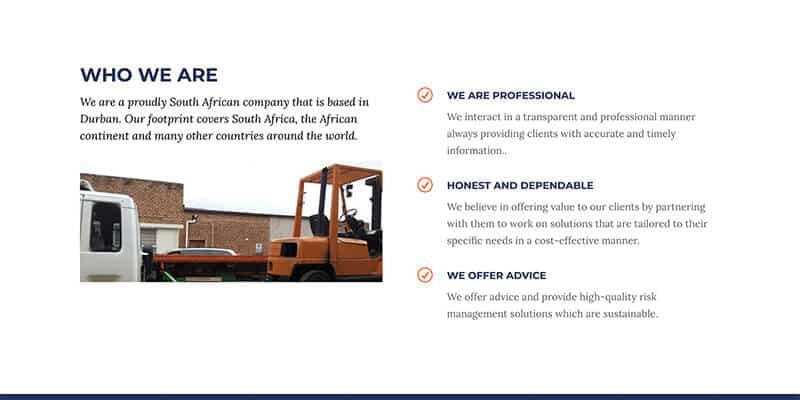 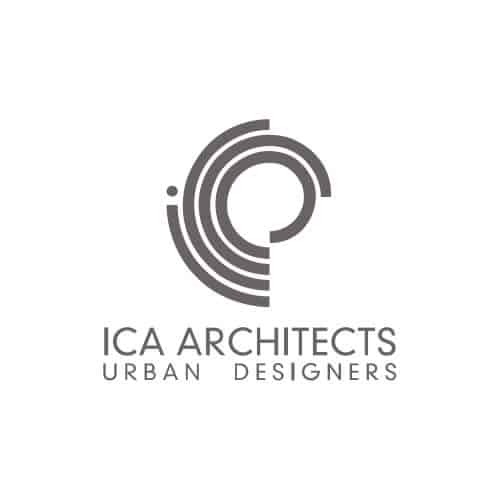 We are a boutique style salvage operation and we specialize in handling specific and customized salvage solutions that cater to different industries e.g. 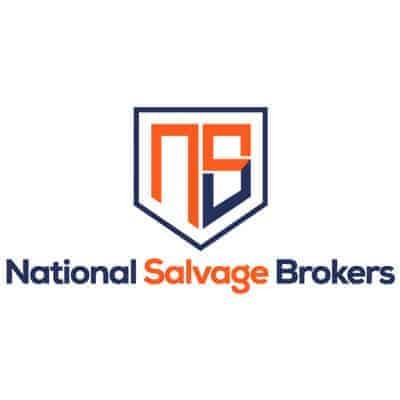 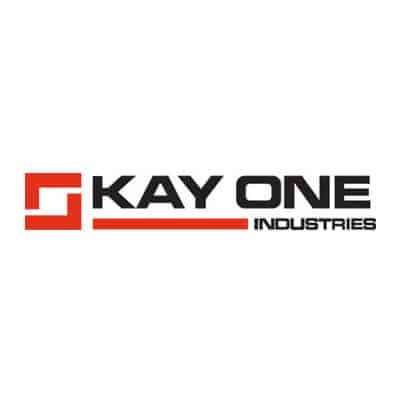 insurance companies, administrators of the real estate, liquidators, corporate production clientele and any other client that may require salvage-related services.